Severe thunderstorms pounded the area this afternoon. 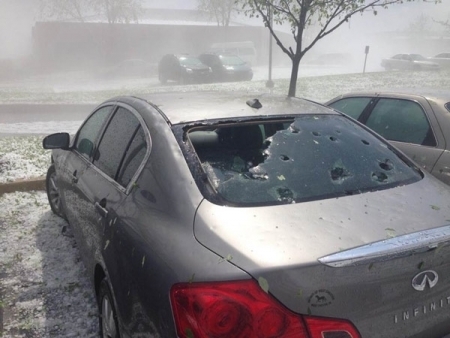 Frequent lighting and golf-ball sized hail stones caused widespread damage. Hail shattered car windows and windshields as well as some skylights at local malls, especially up in Berks County near Reading. Storms left the ground covered in hail 1-2” in diameter in some cases as if it snowed. There were also reports of a possible tornado in Kent County, Delaware. Two 12-year-olds have been charged with trying to sell prescription drugs in their school's cafeteria. The 6th graders are classmates at Riverside Township Middle School. One of the boys had taken 15 Ambien pills from a family member's prescription bottle and they were trying to sell them for $10 a piece. Authorities believe that only one child actually bought and ingested a pill. The school's resource officer Anthony Congemi determined, “They weren’t familiar with what the medication was. They didn’t know how they would react to it.” Ambien is used as a sleep aid. Police believe that this an isolated case. They will be charged for possessing and distributing prescription drugs. The third child will be charged with possession of a controlled substance. 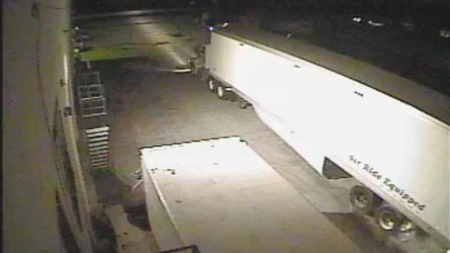 Parents in Riverside Township are upset that they did not hear about this incident immediately from the school district. Instead, many parents found out through the news or social media. Jimmy Rollins passed Richie Ashburn on the Phillies All-Time Hits list today. The shortstop is now in sole possession of number 2 on the list with 2,218. He is 16 hits behind Mike Schmidt at number 1. Party Cloudy, Chance of shower/thunderstorm, temperatures in low 70's this evening in Center City.